PAL is now offering promo fares for Caticlan flights for 2017 travel dates. This is to celebrate Philippine Airlines newest route which is Cebu to Caticlan. If you are from Mindanao you can book a ticket to Cebu and then to Boracay, instead of flying to Boracay via Manila. The good news is that the PAL Caticlan ticket price is on sale at P488 base fare. The total cost for the 488 tickets only amounts to slightly over 1,000 pesos. The promo ticket even comes with free check-in baggage of 10 kilos on top of the free 7 kilos hand-carry baggage. If you want to book promo fare to Boracay for January, February, and March next year. Check out this offer by Philippine Airlines. The office Booking period covers until December 31, 2016. While the flight or travel period is from December 16 to March 20, 2017. But as you know promo fares are limited, so do not wait to book on the last week of December. Book as soon as you can before Boracay promo fares 2017 runs out. First come, first serve basis. You can book direct via PAL online booking at Booking website: www.philippineairlines.com or by dropping by a ticketing outlet of PAL. You can also go to a travel agency to book but take note that most travel agencies will not check all the possible dates for you just to find a P488 base fare. It is better to search for promo tickets yourself, as in ikaw mismo via online website of Philippine Airlines. You do not have a credit card? It’s okay, because you can pay for PAL tickets via payment centers like Eleven, Cebuana Lhuillier, SM Bills Payment Center, BDO, Unionbank, and more choices. Here is a sample promo ticket for your reference. 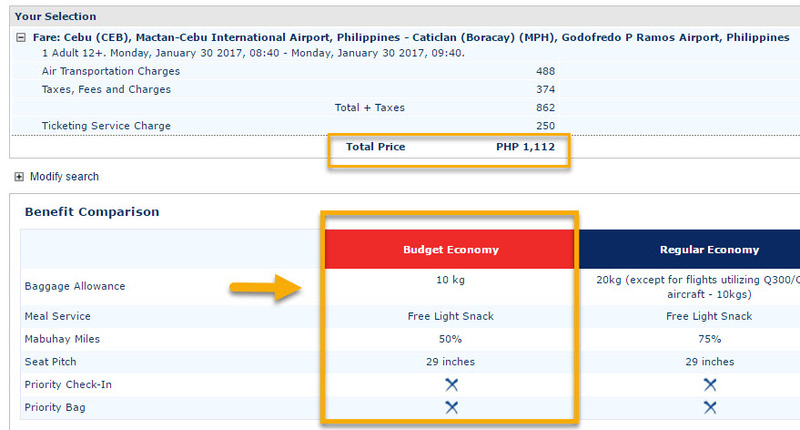 The low rate of PAL is true for their Boracay flight from Cebu, see here. Base fare = Air Transporation Charges. You can also check airfare prices on different dates. 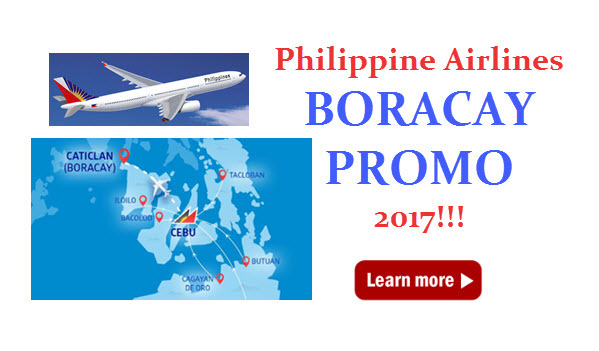 Just remember that this PAL Boracay Promo is only good for travel until March 20, 2017. Not all dates have a promo, so search and search until you find the P488 base fare. Excited for your Bora vacation? Book na with PAL!